Dive right in – this property is only a 2-minute walk from Acadia Beach! 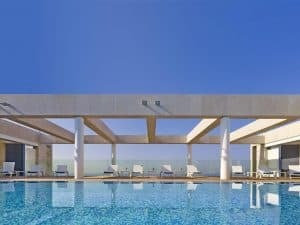 Featuring a rooftop swimming pool overlooking the ocean, The Ritz-Carlton, Herzliya is set at the Herzliya Marina right above Arena Shopping Centre. 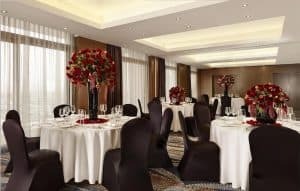 It offers elegant rooms, spa and wellness centre, free Wi-Fi, as well as various on-site restaurants and bars. 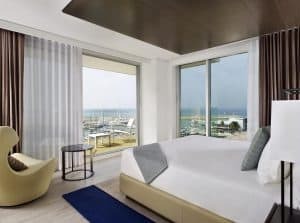 All rooms feature a balcony with Mediterranean Sea views and a spacious marble bathroom with deep soaking tub and a separate glass-enclosed shower. Standard amenities include a flat-screen TV, an iPod docking station, a minibar, safe and Nespresso coffee machine. Some come with a living room. 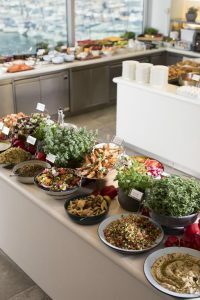 At the Ritz-Carlton, Herzliya guests can enjoy Herbert Samuel Restaurant serving urban Mediterranean kosher cuisine. The Lobby Lounge & Bar invites to relax and offers light food with fresh and innovative beverages. There is also the Rooftop Pool Bar & Lounge with Mezze Mediterranean food concept and signature cocktails. Other facilities offered include meeting facilities, ballroom, fitness centre, Turkish hamam and dry sauna. An array of activities can be enjoyed on site or in the surroundings, including horse riding, windsurfing, yacht sailing and fishing. 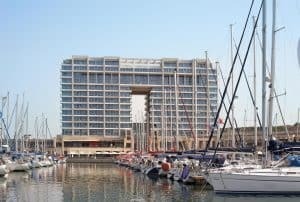 Herzliya Beach and industrial area of Herzliya with numerous restaurants and cafés are a 5-minute walk away. Tel Aviv can be reached within a 10-minute drive. Herzliya Train Station is at a distance of 2.8 km.